Peace Peppers – the beginnings of the newest crop by Imirasire Peace Club in Eastern Province of Rwanda. They first started to grow green peppers and then expanded to yellow peppers (scotch bonnet) used to make Rwanda’s infamous Akabanga hot sauce. This club was one of the first round of winners in our 10,000 Dreams Challenge. It was started by Petite, a peace camp participant. Our 10,000 Dreams Challenge supports and gives youth practical experience in social enterprise as well as encourages youth to work together for mutual and community benefit through their peace clubs. To qualify for a $300 USD grant, peace clubs must submit a peace club proposal and business plan. So far, other winning peace clubs have started a hair salon, grow avocado, and raise rabbits, goats and pigs. 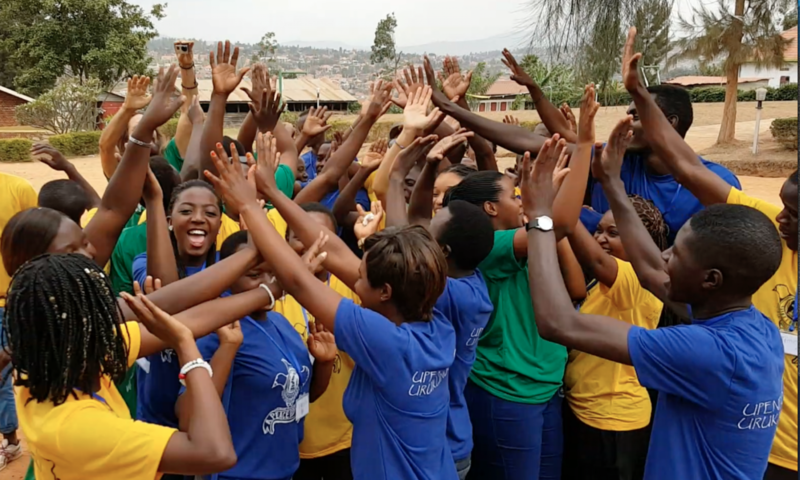 Throughout the year, we follow up with our associated peace clubs in Rwanda and the DR Congo and provide other training and resources, as well as promote and participate in their special community events, everything from day camps for orphans, to peace walks, concerts, school peace parties, and more. The sky is the limit! Donate today to help launch a dream!